Guide Bravo 1 through the entire war without sustaining a single casualty. After the war, complete Bravo 1's platoon photo by reversing the fate of its fallen members. Complete the June 2082 campaign. Complete the August 2082 campaign. Complete the November 2082 campaign. Complete the July 2083 campaign. Complete the October 2083 campaign. Complete the January 2084 campaign. Complete the April 2084 campaign. Obtain your first piece of vertical tank equipment. Obtain 11 pieces of equipment for your vertical tank. Obtain 21 pieces of equipment for your vertical tank. Guide Bravo 1 through the June 2082 campaign without sustaining a single casualty. Guide Bravo 1 through the August 2082 campaign without sustaining a single casualty. Guide Bravo 1 through the November 2082 campaign without sustaining a single casualty. Guide Bravo 1 through the July 2083 campaign without sustaining a single casualty. Guide Bravo 1 through the October 2083 campaign without sustaining a single casualty. Guide Bravo 1 through the January 2084 campaign without sustaining a single casualty. Guide Bravo 1 through the April 2084 campaign without sustaining a single casualty. Create a platoon with another player and complete a successful mission. Create a platoon with three other players and complete a mission without any player casualties. 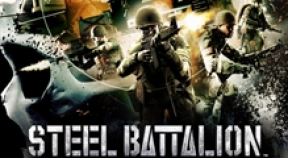 Join another player's platoon and fall in battle while the commanding unit fights on. Take down your first enemy combatant. Successfully purge the cockpit of smoke. Prevent being gunned down by closing the armored shutter. Double up as a loader. Knock out 8 enemy soldiers with a single HEAT round. Destroy an HVT (heavy vertical tank). Perform a pivot turn in high-speed mode to take out an enemy behind you. Destroy 100 enemy vertical tanks. Knock an enemy bomber out of the skies. Send 3 armed freighters to the bottom of the sea. Take down 1000 enemy soldiers. Hit an enemy using rear ammo. Take out an enemy soldier in close quarters. Celebrate a victory with your loader. Teach your subcom a valuable lesson. Give the signal to a friendly bomber. Find a valuable vacuum tube in the middle of nowhere. Give a generous share of food to your mechanic. Save the most precious of lives. Survive the war with an inseparable friend. Complete "Urban Warfare" and leave no Uncles to talk about it. Complete "Waterside Warehouse" and leave no Uncles to talk about it. Complete "King of the Hill" and leave no Uncles to talk about it. Complete "Crash Site" and leave no Uncles to talk about it. Complete "Bridge Blowout" and leave no Uncles to talk about it. Complete "Lemmings" and leave no Uncles to talk about it. Complete "Berlin After Dark" and leave no Uncles to talk about it. Seize enough UN fuel in "Fuel Requisition". Complete "Fuel Requisition" and leave no Uncles to talk about it. Secure a route by destroying enough artillery emplacements in "Mountain Sentinels". Complete "Mountain Sentinels" and leave no Uncles to talk about it. Conduct a successful raid on the UN supply post in "Ammo Dump Jump". Complete "Ammo Dump Jump" and leave no Uncles to talk about it. Secure the area by taking out enough searchlights in "The Champ-de-Mars". Complete "The Champ-de-Mars" and leave no Uncles to talk about it. Destroy the UN freight cars in "Whiteout". Complete "Whiteout" and leave no Uncles to talk about it.